To many the term scoliosis connotes a terrible deforming disease of the spine. But, in fact, with early diagnosis and treatment spinal deformity can be kept to a minimum and the patient can lead a totally normal life. Scoliosis is a condition in which the spine is curved abnormally. It usually begins in late childhood and can worsen rapidly during the adolescent growth spurt. It affects girls almost 10 times as often as boys. If diagnosed and treated early many curves can be kept from progressing. Everyone has curves in their spine that are normal. When viewed from the side there is a rounding of the shoulder region and inward curve of the low back. When looking from the back the spine is straight. 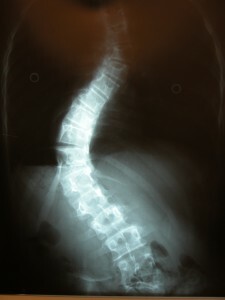 In Scoliosis, when viewed from the back, there is a side to side or “lateral” curve. It may take the shape of a long “C” or “S”. The person with Scoliosis may appear to lean or slump to one side. One shoulder may be higher than the other, and one hip may be more prominent than the other. Common complaints include difficulty in fitting or hemming dresses or asymmetry in the waist or hips. Scoliosis causes a side-to-side bend in the spine and a rib prominence when the child bends forward. In addition to the lateral bend, the spine in Scoliosis also twists as it curves. The twisting vertebrae push and pull the ribs so that the chest becomes deformed. One breast may be more prominent than the other, and when bending forward a rib prominence is seen on the back. In fact, the rib prominence is usually the first sign of Scoliosis, and it is the specific test used to screen for Scoliosis. As the spine continues to rotate the chest cavity becomes more and more deformed so that one lung is reduced in size and volume. This only occurs in the most severe cases but it can restrict lung function and put a strain on the heart. Scoliosis screening is now commonplace in most public schools. It is performed by bending the child forward and measuring the angle of the trunk created by the rib prominence or by measuring the height of the prominence itself. 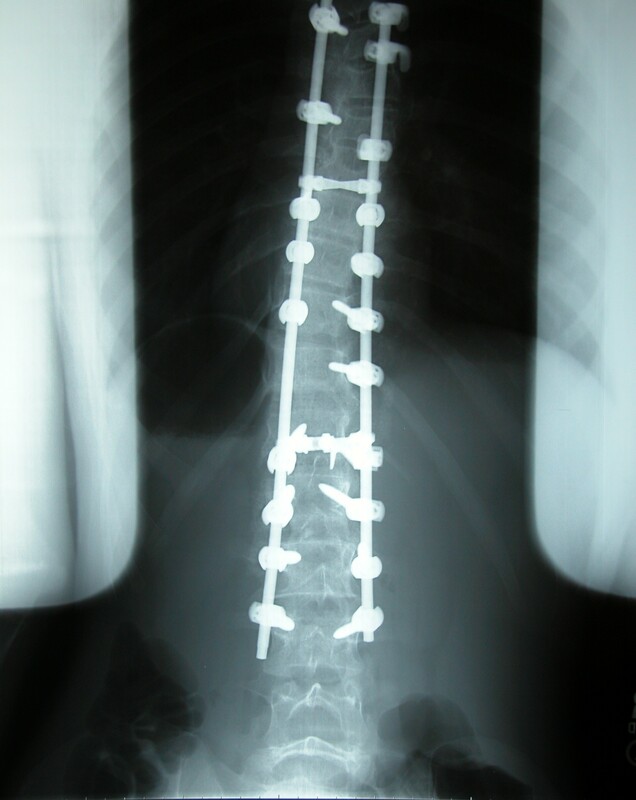 Since the inception of screening programs the number of surgeries for spinal deformity has been decreased by 70%. This is due to early recognition and effective bracing at the time when the curve is small and flexible. Unfortunately, school screening is now being cut from many school budgets, as it is felt not to be cost effective. The reason is that Scoliosis is very rare. It only occurs in about 2 or 3% of the population and only a small fraction of that will actually require treatment. Presently, school nurses are referring thousands of teenagers who have insignificant curves that will never require any treatment. These unnecessary referrals come with a large price tag and thus the debate over cost effectiveness. Rather than cutting these programs out completely, if strict diagnostic criteria are used most of the unnecessary referrals can be eliminated. Parents will ask what causes Scoliosis and what are the chances of other family members being affected. There is a genetic inheritance pattern to Scoliosis, but there seems to be other, as yet to be identified, influences that effect inheritance. In simple terms there is a 7% chance that a first-degree relative will get Scoliosis. The most common type of Scoliosis is Idiopathic Scoliosis. The term idiopathic means that the cause is not known. What we do know is that girls with Scoliosis have an earlier menarche and longer growth spurts. They are taller and leaner that their peers. Research into the neuromuscular system of Scoliosis patients seems most promising. 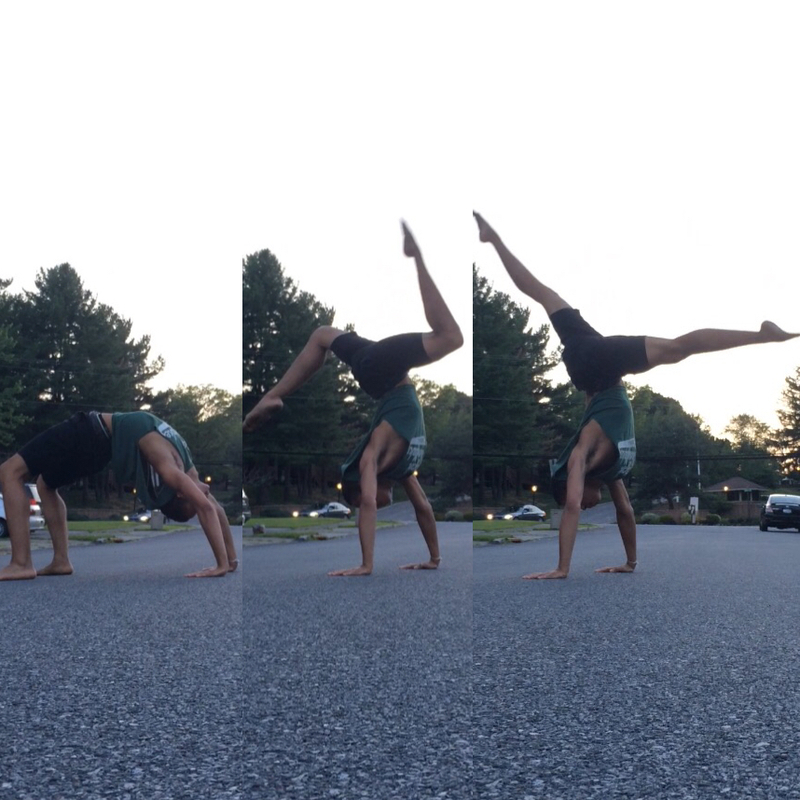 Scoliosis patients have been shown to have subtle differences in their equilibrium and balance. They also have some difficulty with their proprioception, the ability to tell where their limbs and muscles are in space. How all these differences come together to cause Scoliosis is still not known. Other causes of scoliosis do exist but they are much more rare. They include neuromuscular disease such as Cerebral palsy, Spina Bifida, and muscular dystrophy. Sometimes spinal cord abnormalities, tumors, infection, or even herniated discs can cause Scoliosis. A child can also be born with congenital malformations of the spine causing a Scoliosis. 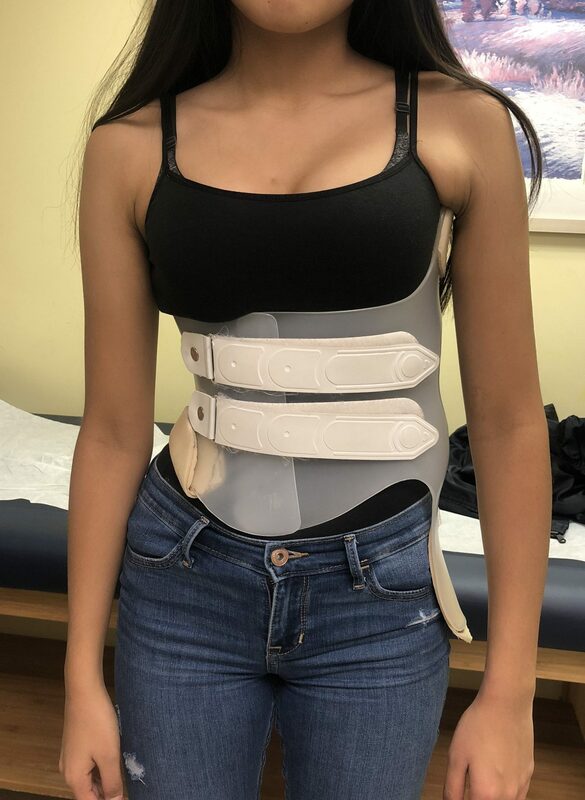 These problems are usually evident long before the scoliosis becomes noticeable or they are associated with significant neurological abnormalities and/or pain. Once Scoliosis has been diagnosed in the child or adolescent, it becomes the task of the orthopedist to determine if it will get worse and if it needs treatment. The goal of treatment is to keep the curve below about 30 degrees as measured on the x-ray. Curves of this magnitude tend to remain stable throughout the adult years and do not cause any disability or noticeable deformity. Large curves tend to progress through adulthood even though growth has stopped. Growth, also, tends to cause a curve to get worse, therefore a curve of 20-30 degrees in a growing child or adolescent needs treatment. This is the ideal time to begin treatment, and braces applied at this time are about 85% effective in avoiding surgery. Today we use thin lightweight custom molded braces. They are comfortable and cannot be seen beneath normal clothing. They are generally well tolerated even in the teenage girl. New, is the Spinecor brace. Made of soft straps, it is extremely well tolerated. Efficacy still needs to be tested, however. Perhaps the best solution, when indicated, is the night bending brace. 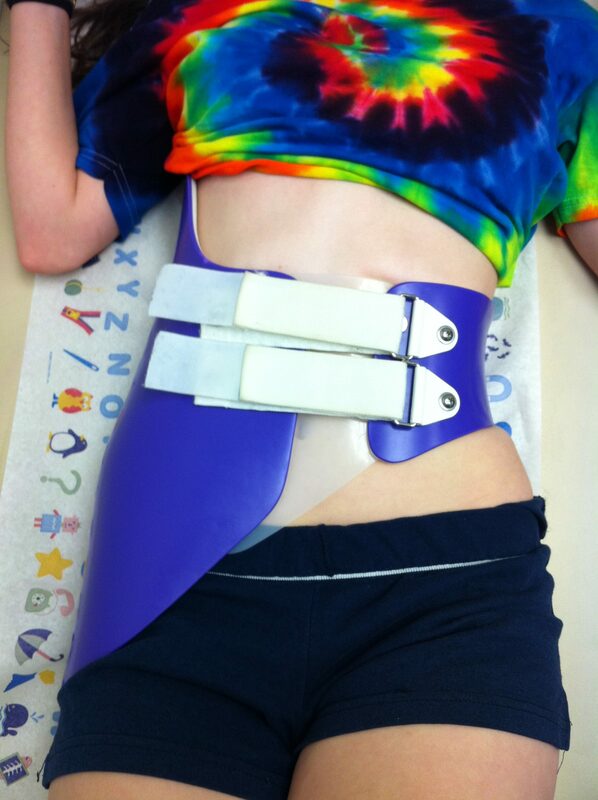 this custom molded brace overcorrects the curve enabling it to be effective when only worn for sleep. With this option, the child does not have to wear the brace during the day. Curves under 20 degrees that do not show any progression need not be treated. On the contrary, curves greater than 40 or 50 degrees may need surgery. This size curve will progress rapidly during the growing years, then slow down and continue to progress into adulthood. That progression will lead to deformity and possibly pulmonary compromise or pain. Braces are not effective in treating curves of this magnitude because they generally cannot make the curve much smaller, they only keep the curve the same size as when the brace was applied. So when the brace is discontinued at maturity a large curve remains. The larger the curve the faster it will progress. Surgery is the mainstay of treatment for the large curve or the patient who has failed brace treatment and shown progression. It involves the use of metal rods and hooks to effect a significant amount of correction, and then to hold that correction while the vertebrae fuse together. The fused segments correspond only to the abnormal segments of the spine; normal parts of the spine are left un-fused so as to allow for bending. With today’s advances in technique and anesthesia, surgery can be performed safely. In experienced hands the procedure is performed in a few hours. The spinal cord is monitored electronically throughout the procedure in order to minimize the risk of injury. Blood lost during the operation is filtered and returned to the patient. After the operation, no cast or brace is used, the patient is walking by the second day and home by the fifth day. 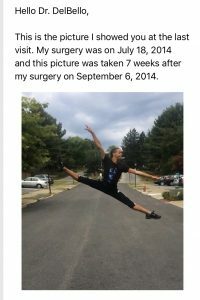 What do we expect after surgery? Full activity in 3 months. Maybe we should think about some restrictions for high risk and high impact activities such as tackle football, jumping horses, pole vaulting etc, but for the rest of use, normal and full activities. Minimally invasive spine surgery or endoscopic spine surgery is now available to some patients. 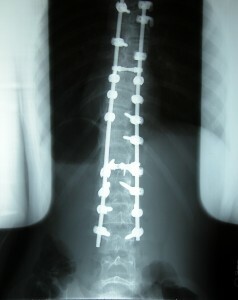 Today, we are able to perform a spine fusion for scoliosis utilizing several small 1/2-inch incisions. Through these small incisions a television camera is used along with specially designed instruments to remove the discs and insert the rod and screws. Our early results look very promising, and to date the procedure is very safe. Many people ask about other forms of treatment. To date, only brace treatment and surgery are proven to be effective in halting the progression of Scoliosis. Treatments such as exercise, physical therapy, electrical stimulation, and even Chiropractic manipulations are not effective in stopping curve progression. These treatment methods are not detrimental and can certainly be used in conjunction with proper orthopedic management, but they should never be used in place of proper monitoring and treatment by a Pediatric orthopedist. The test provides the physician and family with the risk of continued progression. Thus, a low risk score may enable us to reduce the office visits and radiation associated with x-rays. The test has even enabled me to discontinue or avoid recommending bracing for some patients. This can greatly reduce the anxiety associated with the usual watch and wait approach. On the other hand, some patients will have a very high score. We can then move to more aggressive bracing early, or consider surgery early. 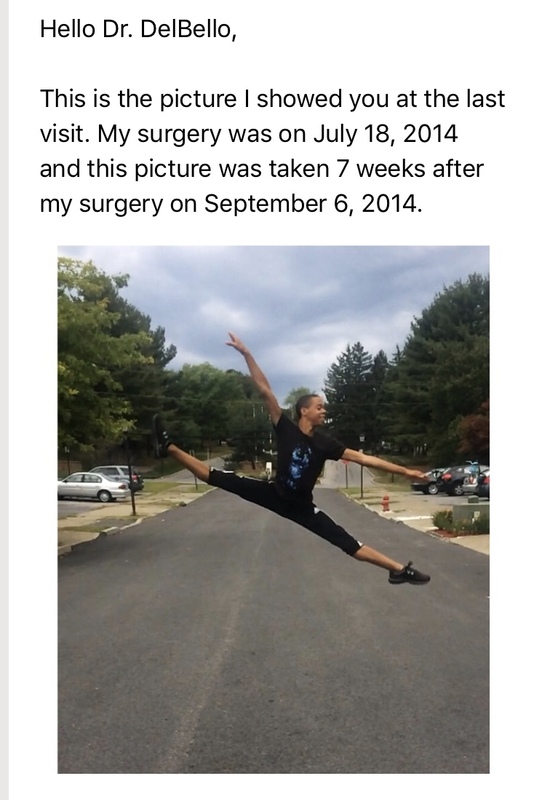 Instead of waiting for a curve to get very large before considering surgery, early options include stapling. A procedure which is minimally invasive and allows for motion and growth.